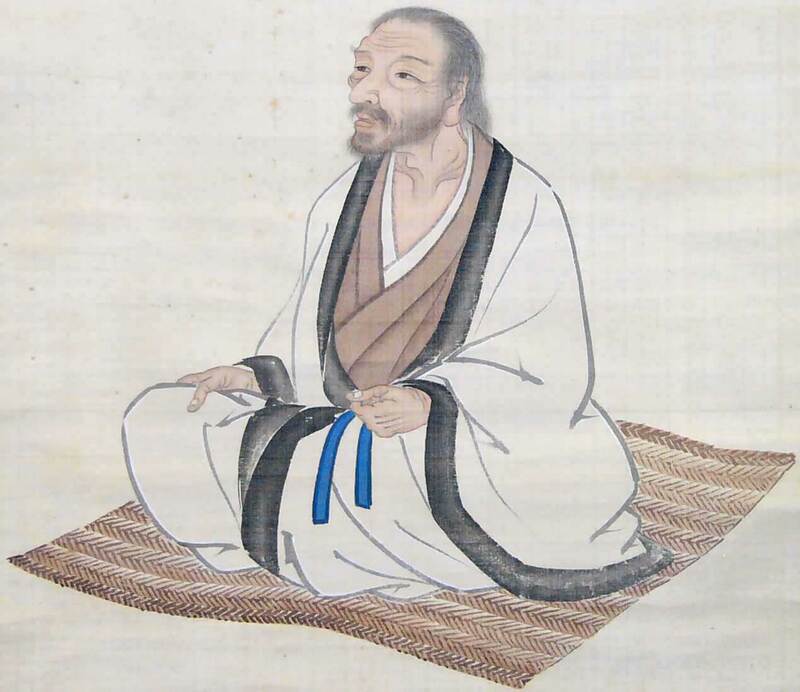 1191AD: Eisai, a monk of the Rinzai Sect, returns from his study in China bringing with him tea seeds, which he then plants on Sefuri mountain in Saga. 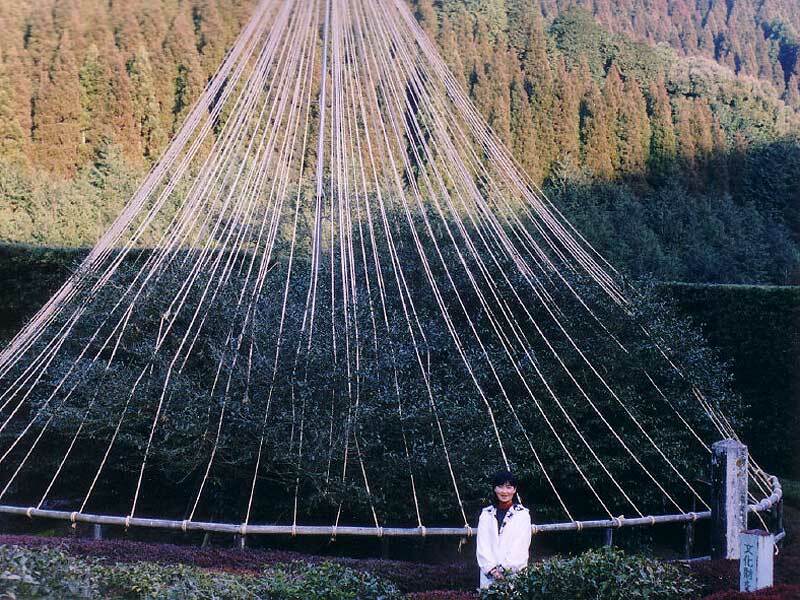 This is said to be the beginning of tea cultivation in Japan. 1440AD: A potter from China crosses over to Japan and settles in the area of Ureshino’s Mount Fudo and the Saraya valley. Alongside his pottery production, he also cultivates his own tea, and becomes the first example of tea cultivation in the Ureshino region of Japan. Later in 1504, the first Nanking style kettle is brought over, and the knowledge of what is known today as Kama-iri cha is transmitted to Japan. 1603AD: Saga Nabeshima Clan warrior Yoshimura Shinbei is born just after the famous and decisive battle of Sekigahara. 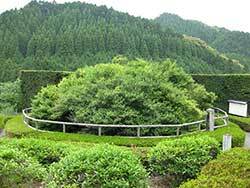 Later, Yoshimura is charged with the defence of the Nabeshima Clan’s western border and moves his residence to the Ureshino Mount Fudo Saraya Valley area, where he later decrees that tea be made into a production crop. 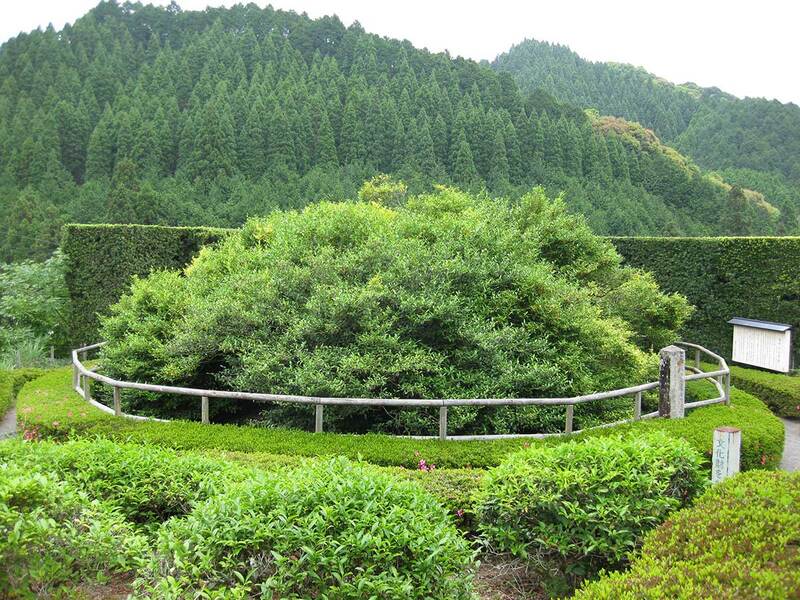 A tea plant that Shinbei is said to have planted at this time was designated a Japanese Natural Monument in 1926. Mid Edo Period: The first tea shop ‘ Tsusentei ‘ is opened in Kyoto. As proprietor , the buddhist monk Koyugai from Saga city is the first person to bring tea to the common people and becomes affectionately known as ‘ Baisaou ‘. Late Edo Period: Oura Kei (1828-84), a female merchant from Dejima in Nagasaki , is the first person to actively pursue the export of tea. 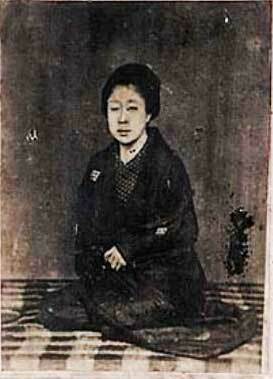 Born to a family of oil wholesalers in the midst of Japan ‘s isolationist period, Oura had her eye on the outside world and sent samples of tea to England , America , and Arabia . 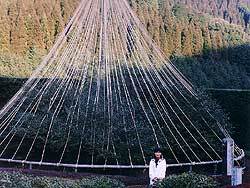 Ureshino alone was unable to fill the unexpected resulting orders for a total of 72 tons of tea, and even tea growers from the entire island of Kyushu were only able to export a total of 6 tons. 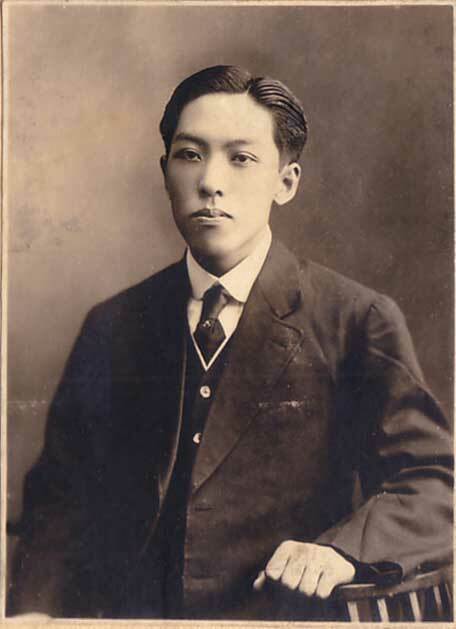 In the following years, Oura’s tea export business flourished, and it is said she lent a great deal of aid to some of the more patriotic figures of the Meiji Restoration, such as Okuma Shigenobu and Sakamoto Ryoma. 2000AD: In Saga’s Chinzai machi, among the ruins of Nagoya castle, the ruins of a tea room are discovered, lending important insights into the everyday castle life of Hideyoshi. Also considered an important discovery from the standpoint of building and garden construction history.